Calendar size 11" X 22"(Width x Height) / Advertisement Space Size 10.5" x 4"(Width x Height) real art paper calendar 2018. 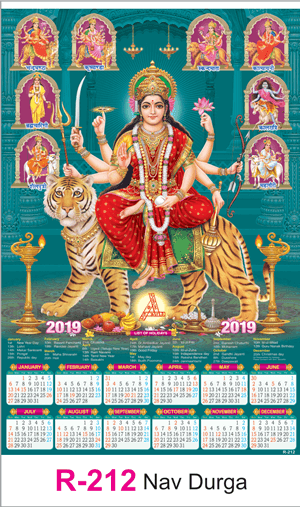 Calendar size 11" X 22"(Width x Height) / Advertisement Space Size 10.5" x 4"(Width x Height). Party's advertisment size is 10.5" x 4"(Width x Height). Party's advertisment colour as per customer's wish. Please tell us once you placed on order. Two colour and multi colour is available. Order delivery lead time is maximum of 7 business working days. Upload the party's advertisment to get printed on calandar, Party's advertisment should be 10.5" x 4"(Width x Height). Article is trimmed off if exceeds the mentioned size,. Party advertisement colour As per customer wish. Single color is included in price. Multi colour is available. Party advertisement Size 10.5" x 4"